J&N Skips offers a full range of professional waste management services, including skip hire, garden waste disposal and construction site rubbish clearance. We’ll take on all small local projects, major national work and everything in between. There’s really no job too big or small for us to take on!. We hold a valid waste carriers’ licence and dispose of all rubbish in registered land fields. Up to 95% of waste we collect is recycled. Our Croydon based team prides itself on the fast, friendly and efficient way in which it delivers waste management services. Please call us now for a no obligation quote. Skips start at £180 + VAT.  Need skip hire in Croydon or its surrounding areas? Call our waste disposal experts on 02086037363. We hold a valid waste carriers’ licence and dispose all rubbish in registered land fields. Up to 95% of waste is Recycled.